Everyone wants to have an alter ego. Everyone wants to be someone else. If only for a night. Or a decade. Or a lifetime. 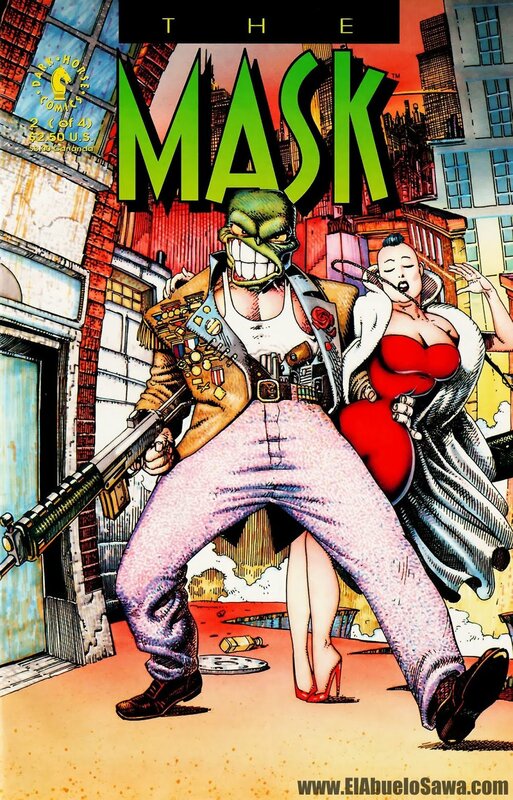 1994's The Mask is a brilliant contrast between two characters inside of one body. To the three people who haven't seen 24-year-old film: you put on a green wooden mask (hinted as being the mask of Loki) and you turn into a caricatured, fearless version of yourself. The Mask is immortalized thanks to Jim Carrey, who plays both Stanley Ipkiss (a 'nice guy' who can't seem to win) and the Mask (a wild man who robs banks, dances with Cameron Diaz, and survives after getting hit by like 99 bullets). While the supporting cast doesn't hold back the story (memorable characters like the mechanics, like Dorian Tyrell, like the Coco Bongo band), this is prime Jim Carrey in a character piece. In 1994, the same year that The Mask was released, Carrey also starred in Dumb & Dumber as well as Ace Ventura: Pet Detective. In regards to whacky lead roles, the year was all him. Yes, The Mask was followed up a decade later with a sequel (Son of the Mask, 2005) that no one watched. Yes, The Mask turned into an animated series that lasted from 1995 to 1997 that still holds up. And, perhaps most worthy of your time, The Mask is based off of a Dark Horse Comics series that lasted throughout the 90s. Each issue is a violent, merciless bloodbath that demands an R-rated reboot. The Mask is for the hopeless romantics who see the light at the end of the tunnel. It's for every member of the working class who has ever wanted to use a croquet mallet on their alarm clocks. For anyone who has ever wanted to swallow dynamite. Ever wanted a limousine longer than a street block, which is in no relation to the limo used later in the movie that's stuffed with dynamite that is later swallowed. The Mask is for the small demographic that misses the short-lived era of swing music. The Mask is for everyone trying to unwind a little bit. Or a lot.